The League Committee members met under the Chairmanship of Mr. Subrata Dutta at AIFF Headquarters, Football House, Dwarka, New Delhi on Wednesday (July 5, 2017) to take decision on various pertaining to I-League. The I-League and the Indian Super League will be held simultaneously for the 2017-18 season and would kick-off after the completion of the FIFA U-17 World Cup India 2017. A task force was formed to oversee operation, marketing and promotion of the I-League 2017-18. The task-force comprises of the Chairman of the League Committee, the Vice-Chairman of the League Committee, a member from FSDL and the AIFF General Secretary and the CEO, I-League, as ex officio members. 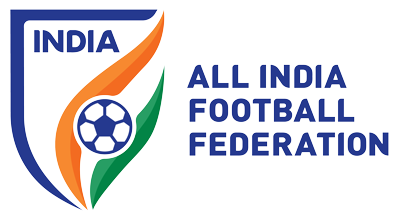 The Committee asked the AIFF General Secretary to discuss with Asian Football Confederation as to how they would like to operationalise the future road map for Club Football in India and empowered him to form the task force for the purpose, if required. Meanwhile, it was confirmed by FSDL that the I-League would be broadcasted on Star Sports platform with much improved production quality. The Committee also stated that the scheduling of the ISL and I-League matches needs to be discussed and finalised with Star Sports, FSDL and I-League department. Though no decision could be taken on increasing the number of foreigners after opposition by various clubs. The matter has now been referred to AIFF Executive Committe, who will take final decision in this regard. The Committee also decided that the format and timing of the proposed Super Cup/Champions Cup be finalised after reviewing the calendar of the SAFF Championships to be held in Bangladesh in 2018, and further discussions with FSDL.